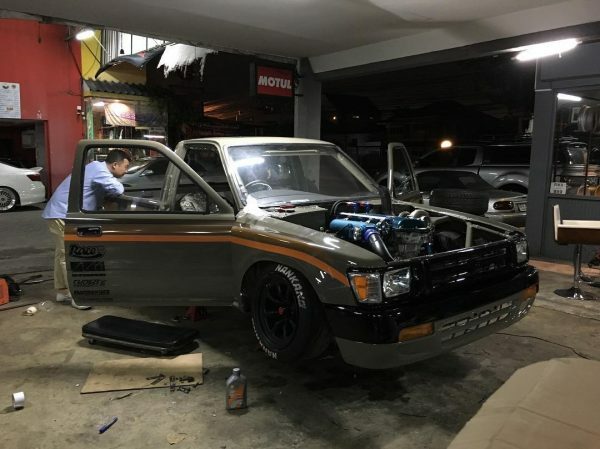 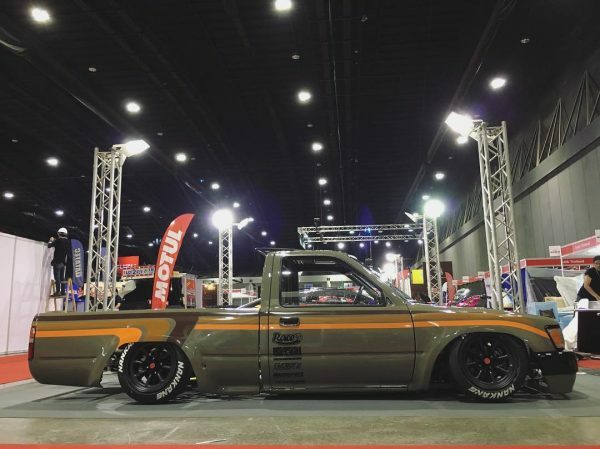 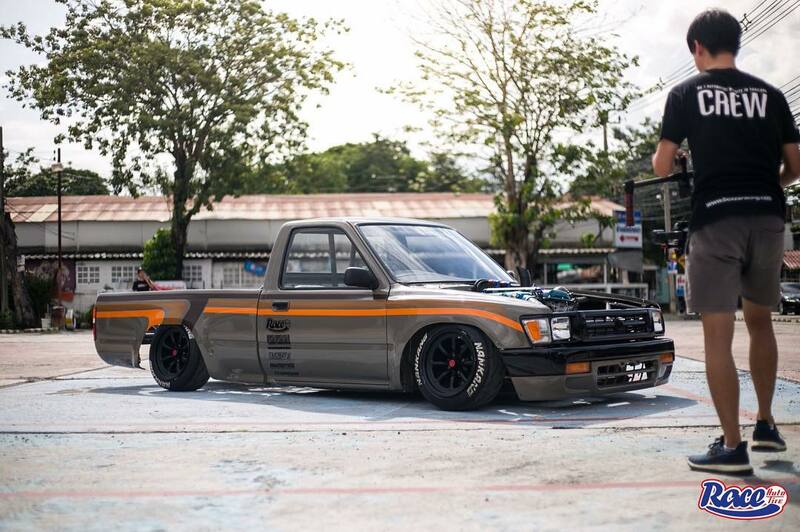 This Toyota Hilux Mighty-X (LN80/fifth gen) was built by Race Auto Tire in Pak Kret, Thailand. 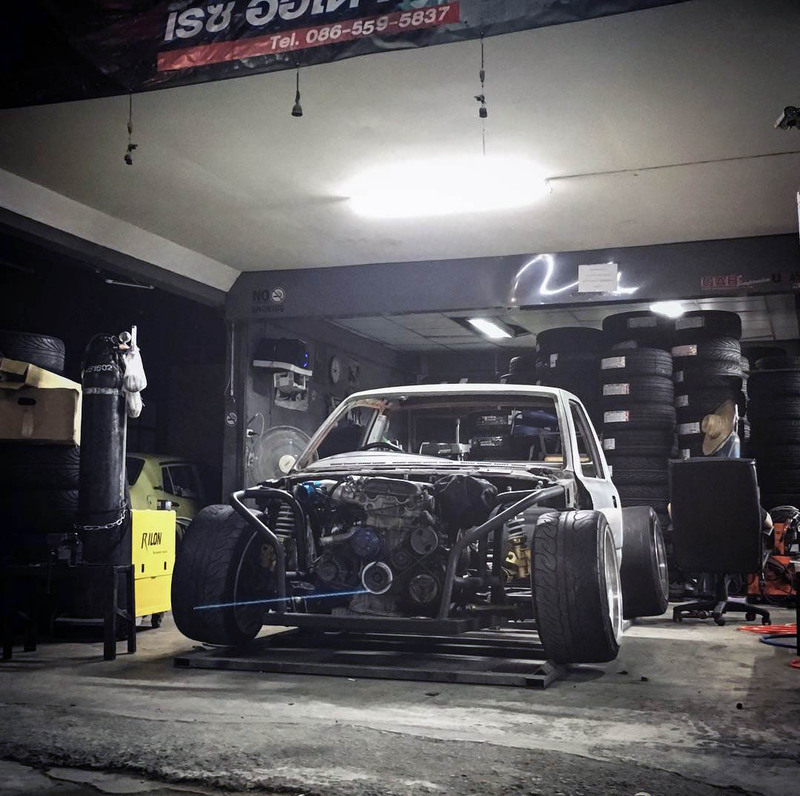 The engine is a turbocharged 2.0 L SR20DET inline-four that makes 558 horsepower on 2.3 bar (33 psi) of boost from a Precision 6062 turbocharger. 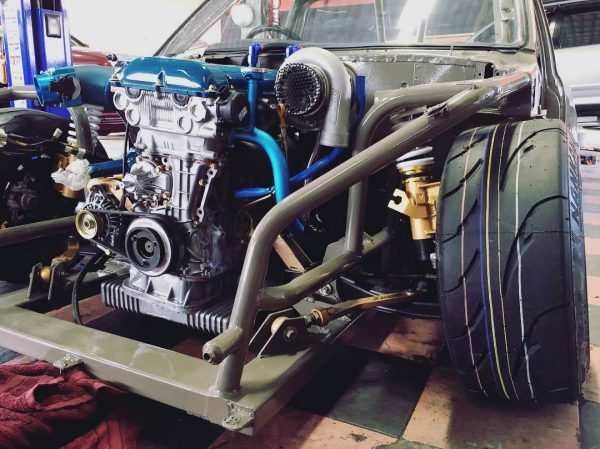 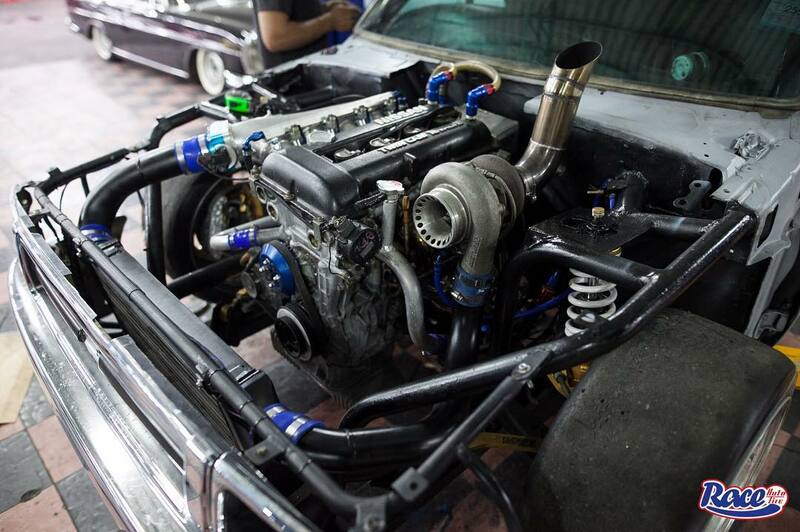 The engine features CP 87 mm forged pistons, BC forged rods and camshafts, 1300 cc injectors, and FuelTech ECU. 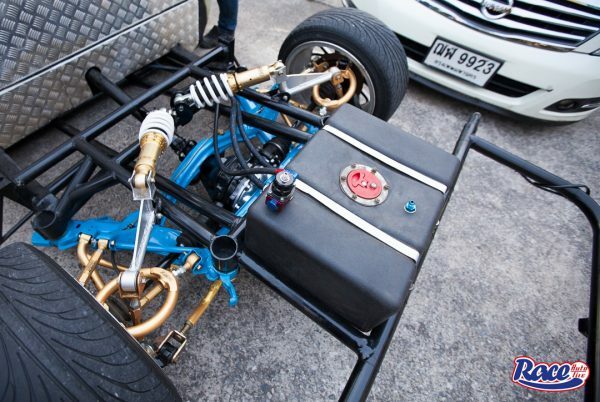 The drivetrain consists of a Nissan manual transmission and Silvia rear end with a Nismo LSD. 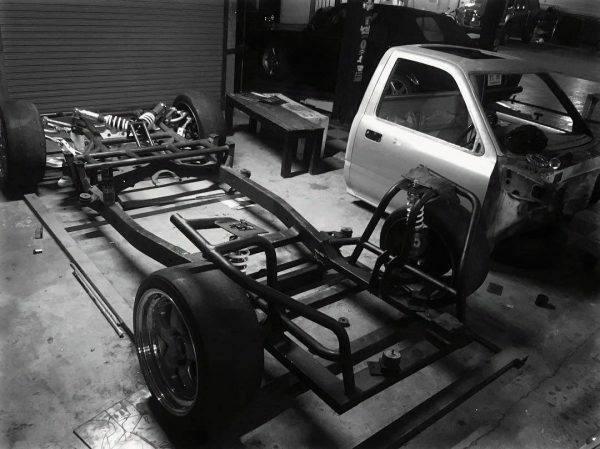 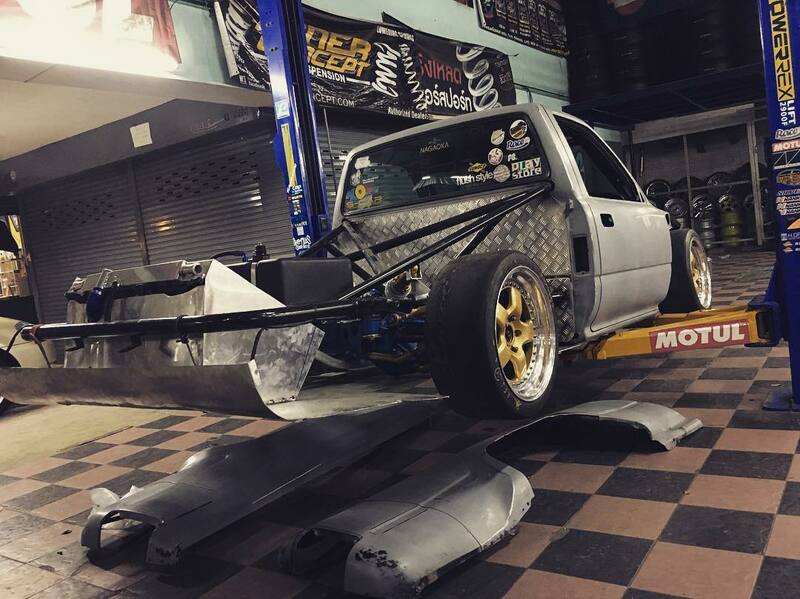 The truck rides on a tube chassis with a Tuner Concept adjustable coilover suspension. 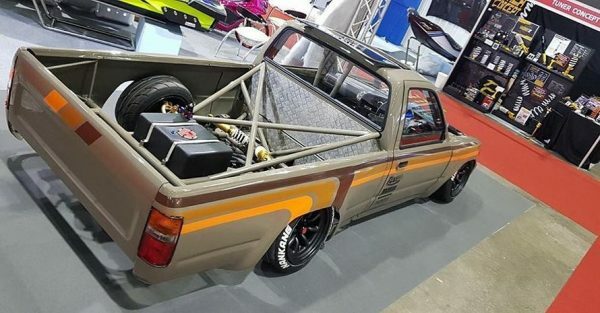 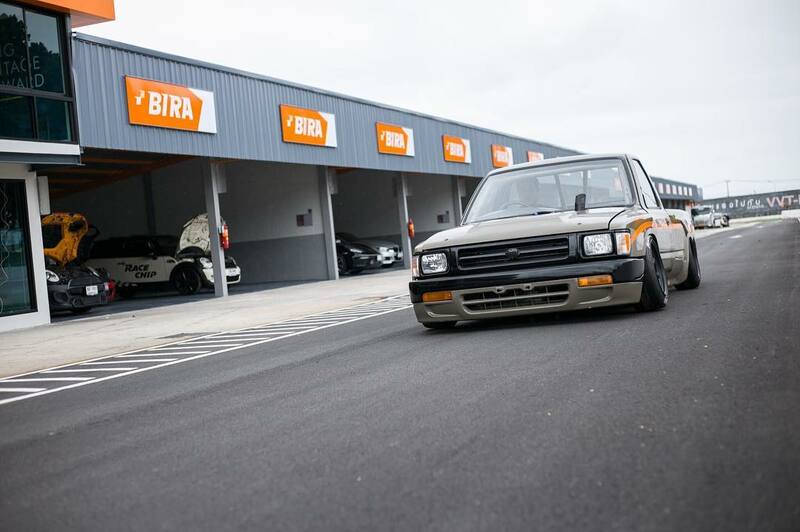 This thing reminds me of Nigel’s drift Hilux.